Collins Booksellers - Metals and Related Substances in Drinking Water by Bhattacharya, Prosun, 9781780401393. Buy this book online. Part of Metals and Related Substances in Drinking Water Set - buy all five books together to save over 30%! 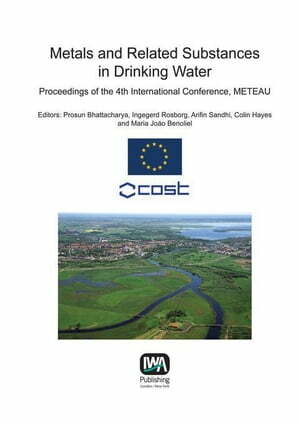 Metals and Related Substances in Drinking Water comprises the proceedings of COST Action 637 - METEAU, held in Kristianstad, Sweden, October 13-15, 2010. Provides an overview of knowledge on metals and related substances in drinking water. Promotes good practice in controlling metals and related substances in drinking water. The proceedings of this international conference contain many state-of-the-art presentations by leading researchers from across the world. They are of interest to water sector practitioners, regulators, researchers and engineers.